There are a lot of amazing places to visit in Spain. Some of them are really unbelievable. One of the most amazing places in Spain is, without any doubt, Playa de las Catedrales, on the North of Spain. 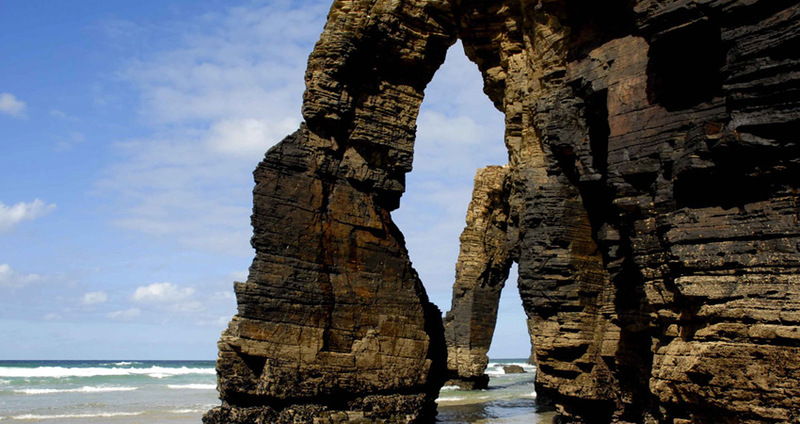 The real name of this beach is “Playa de Aguas Santas” (Beach of The Saint Water), but it’s often called The Cathedral beach, because of the rocks that remind of The Gothic Cathedrals. You can enjoy the walk by the labyrinths, columns and arcs of these 30 meters rocks during many hours. The locals use to do this on their weekends. The access to the beach is quite difficult: you may only reach it when the tide goes down. The rest of the time, the seaside disappears under the water. Once you achieve this, you would enjoy the wild landscape under numerous amazing arcs. Meanwhile the scientists are studying if there life on Mars, you can find a similar landscape in Huelva (Andalucía). 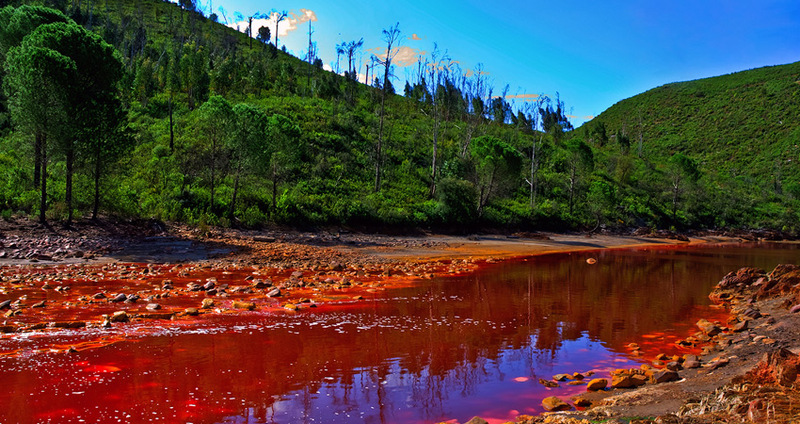 The red river Río Tinto in Cuenca del Guadiana reminds you a bulk flow of wine. Since ancient times, the shore along the river has been mined for silver, gold, cooper and other minerals. The PH of the river is so high that there is no any classic flora or fauna there. Only some bacteria and many microorganisms that make NASA to spend much time exploring Río Tinto and testing new robots there to know if they can survive on Mars. La Piedra Street in the heart of the Old Centre of Vigo Town looks like one big outdoor restaurant. People come here to try the most famous regional food: fresh oysters. Normally they eat dozens of them served with Albariño and Ribeiro wines. 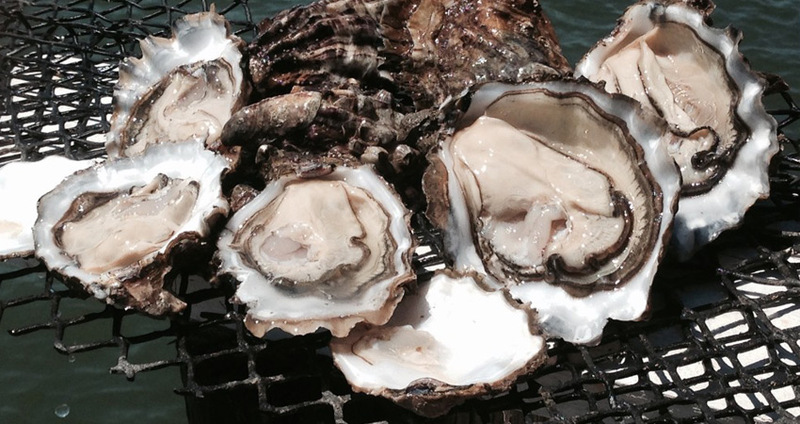 You can be sure that at La Piedra you would find “crème de la crème” of oysters. The sellers would also surprise you: all of them are colorful local characters born in the city. They offer you only a fresh product inside the wooden boxes in the middle of the la Piedra: a street that was a market of the exotic products many years ago. This forest is the best way to show that the harmoniously mixture between the nature and the art is possible. 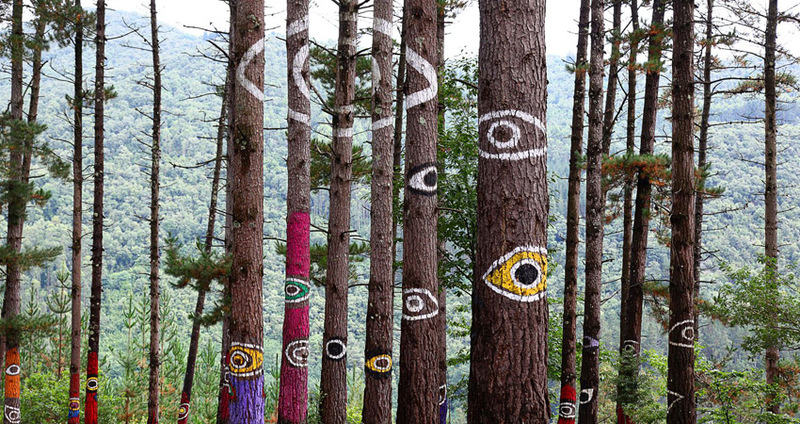 The Basque artist Augustin Ibarrola transformed this Natural Park into a gallery. The trees are decorated with the colorful figures of the animals and humans, geometrical symbols and paintings. Some of his artistic compositions you may only appreciate from exact perspective and distance. When you visit this magic Oma Forest, you feel like you are in the middle of the impressionist painting. 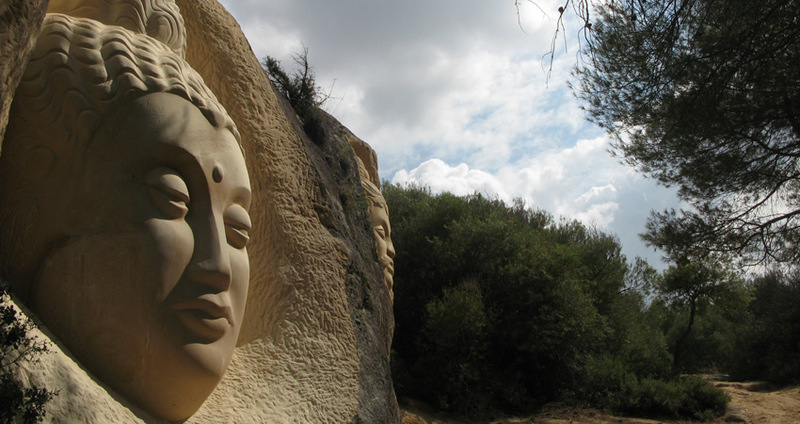 Close to the village Buendia situated in Cuenca, we advise to visit the famous Route of Faces: the creation of two Madrilenian architects: Jorge Maldonado and Eulogio Rougilio. They began to make faces on the rocks in this park in 1992. Their first work was “The Nun”, and during the next years they had completed it with 17 more sculptures, all of them with religious theme. The most significant sculptures are three-meter’ “Shaman” and gigantic “Skull” situated on a very high mountain. The locals are sure that these Faces are the souls of the Monks who lived there eight centuries ago.